Former Pennsylvania Gov. William Cameron Sproul built this little hydroelectric plant in 1915 to supply his home with electricity. 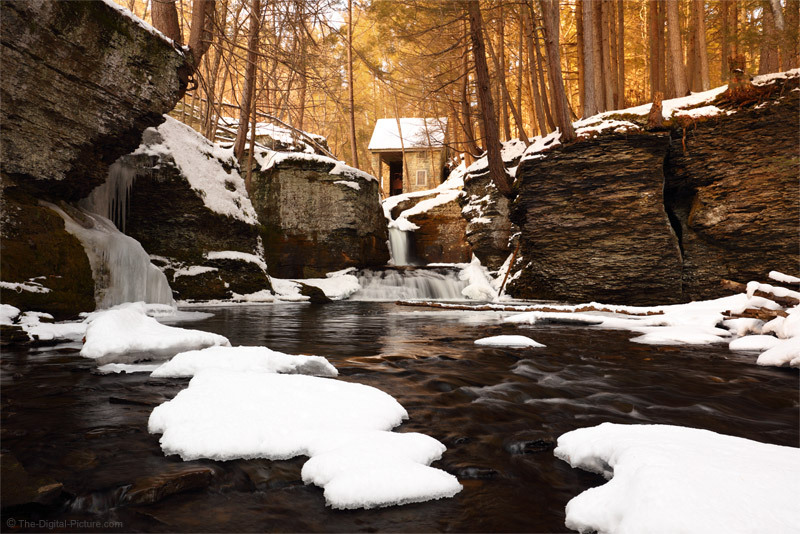 Sitting above a waterfall on Adams Creek in the Delaware Water Gap National Recreation Area, this historic stone water wheel house is individually photogenic and especially-so with its picturesque surroundings. Obviously, this photo was captured in the winter, so I'll share a few thoughts on ice photography. Obviously, for ice to form, the temperature must be cold. While cold temperatures make us want to stay inside, ice is a great subject to pull us out of our comfortable houses. Note that, even after a long cold spell, a single warm day can degrade the ice formations in some locations. If there has been a period of below-freezing temperatures, don't wait to take advantage of the ice. 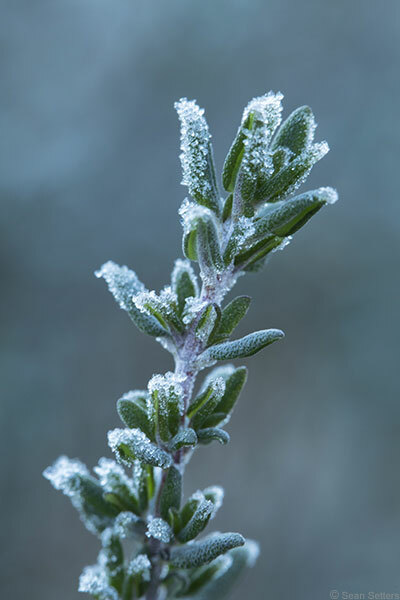 Check out the Cold Weather Photography Tips page before leaving home. Along with cold temperatures, ice requires water to form. Thus, ice is found where there is water. While that also may sound trivially-basic, start thinking about locations that have water, including non-obvious ones. Or, consider creating your own ice. Ice can be extremely slippery and it is a very hard surface to impact upon falling. A thick stocking hat with a thick folded-up rim can keep you warm and add a little protection to what matters most, though a helmet is a better idea in certain scenarios. Other thick clothing can also offer impact protection. Micro-spikes or crampons along with other ice-climbing supplies (and the training to use them) may also be required in the more extreme scenarios. Be careful out there. Snow tends to stick to ice. While snow can be at least as beautiful as ice, if photographing ice is your goal, snow may cover your subject, turning everything white. Time your ice photo sessions so water has frozen before the snow falls or after water has sufficiently frozen over a prior snow fall. Also, look for vertical ice that snow cannot cling to. Of course, mounds of snow covered ice surrounded by water are great to have in a scene. Bright ice and snow consuming a significant portion of the camera's selected metering area will cause the camera's autoexposure algorithm to underexpose the image. The amount of underexposure can vary, so learn to watch the histogram and compensate the exposure for a brighter result. Enable the camera's blinking overexposure warning and adjust the exposure so that only a small number of the brightest pixels are blinking to get a typically-best exposure. While ponds and lakes can have interesting ice to photograph (and methane bubbles are always calling us landscape photographers), flowing water tends to create more-unique shapes (including bubbles), with falling water creating some of the most-interesting stalactite and stalagmite formations. Back to the safety concern: combine rapidly moving water freezing at angles with the slipperiness of ice and the safety risk factor grows. Also, while non-moving water tends to freeze to an even thickness and safety can often be discerned (permitting ice fishing, ice skating, snowmobiling and other activities), moving water tends to freeze unevenly and can be risky to walk over. Always use caution if traversing over ice. While ice can make an excellent primary subject, it works especially well in a supporting role. Finding a great waterfall is an easy example of this strategy. Consider taking your portrait subject along to photograph in front of or beside the ice formations. The ice photo shown here incorporates many of these tips. While waterfall photography often works best on a cloudy day, this shoot was secondary to another one and I had to accept what the day delivered. Fortunately, I liked the color balance difference provided by the sunlit (warm) and shaded (cool) portions of the image. The Winter Solstace is Rapidly Approaching – Get Your Star Lens On! Here in the Northern Hemisphere, the winter solstice is rapidly approaching and the days are already short. That means nights are long and, while plenty of indoor photography avails itself at any time of the year, late fall and winter is a great time to photograph the night sky for a few reasons. First, there is more dark time of the day and that means more hours of star visibility. You can spend hours photographing the night sky and still get to bed in time to be well-rested in the AM. When the nights are long, the biting bugs are gone (depending on where you live, the potentially-biting bears may also be gone). One more reason is that, because cold air is not able to hold as much moisture as warm air, winter tends to have clearer skies, and clear skies are of course a prerequisite for star photography. Winter astrophotography is not without downsides and these include less-comfortable temperatures along with a Milky Way alignment that may or may not work well for you. Of course, a bright moon can preclude dark skies at any time of the year. 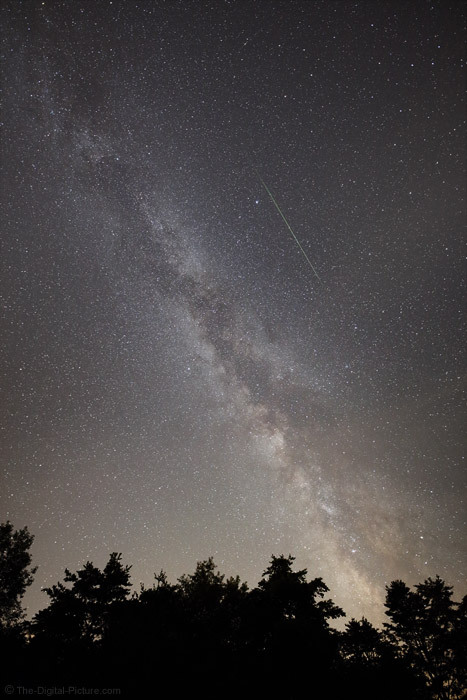 The Milky Way (or any photo of the stars) can make a nice image, but a meteorite is a huge bonus. How do you increase the odds of getting the perfectly-positioned meteorite in the frame? Photographing during a meteor shower is ideal. However, meteorites can happen at any time and a formally-designated "shower" is not a requirement. A big key is to take a lot of photos, significantly increasing the odds of a well-placed shooting star streak. Night sky exposures are long, especially with long exposure noise reduction enabled, and that means taking many photos takes a lot of time. Time-consuming tasks that can be left unattended beg for multitasking. Set up the camera (on a tripod of course) with the desired manual exposure settings dialed in and set the drive mode to high speed burst. Then, using a remote release featuring a shutter release lock, lock the release down and go do something else. If you are fortunate enough to have great stars in your backyard (and you are not concerned about the camera being stolen), that something else could be anything indoors including eating dinner. Or, set up a second camera to photograph the night sky with, perhaps using a different foreground and/or focal length. Read a book, call your mom, sleep, etc. You get the point – and you get the pictures. If long exposure noise reduction is turned off, the set of images captured can later be combined to create a star trails photo (these are especially great if including the North star). Also optional with the same set of images is creating a time-lapse sequence with the stars moving across the sky. For this image, I used the suggested strategy and spent my time working with another camera I had also set up. Every 5 minutes or so, I came back to adjust the composition (keeping the bottom of the Milky Way aligned with the break in the trees). Upon reviewing the images later, I found one with the ideal meteorite streak position (along with four smaller meteorite streaks visible in the full-resolution image). I should mention here that even with a 14mm lens, cameras with imaging sensors having pixel densities as high as the Canon EOS 5Ds R (and all 20+ MP APS-C models) begin to show small star motion-blur streaks at the 25 second exposure used here (except those stars closer to the North Star and the southern equivalent). One option to extend exposure times while avoiding star streaks is to use an equatorial tracking mount. However, a tracking mount will just cause the foreground to be blurred (if a foreground is included in the frame). A great feature of the Sky-Watcher Star Adventurer tracking mount is the 1/2-speed rotation setting option, permitting the motion blur to be balanced between the earth-bound subject and the celestial ones. This setting effectively doubles the exposure times that can be used or, alternatively, it facilitates a 1-stop lower ISO setting. The Star Adventurer likely costs less than you think. Start with the "Astro Package" and consider adding the EQ base and counterweight. Multiple times I've started to assemble a list of the best star photography lenses, but ... that project remains unfinished. That is a really hard list to assemble and there are no perfect astrophotography lenses. However, there are several really good choices and I currently consider the Sigma 14mm f/1.8 DG HSM Art Lens to be the best astrophotography lens available today. I have a dark sky photo trip planned for next summer and the Sigma 14 Art is the primary Lens I plan to take for that purpose. What is your favorite astrophotography lens? Permalink: The Winter Solstace is Rapidly Approaching – Get Your Star Lens On! They don't take Christmas decorations down on December 26th, but ... the crowds will be lighter than before Christmas. Public Christmas displays, including large Christmas trees frequently found in towns and cities, make great photography subjects. Photographing these displays after the crowds leave can make life easier for the photographer (and your social schedule will likely be cleared). Though the Christmas anticipation feelings may have subsided, the resulting photographs can be as good or better than those captured before the holiday. When do they take down public Christmas decorations? 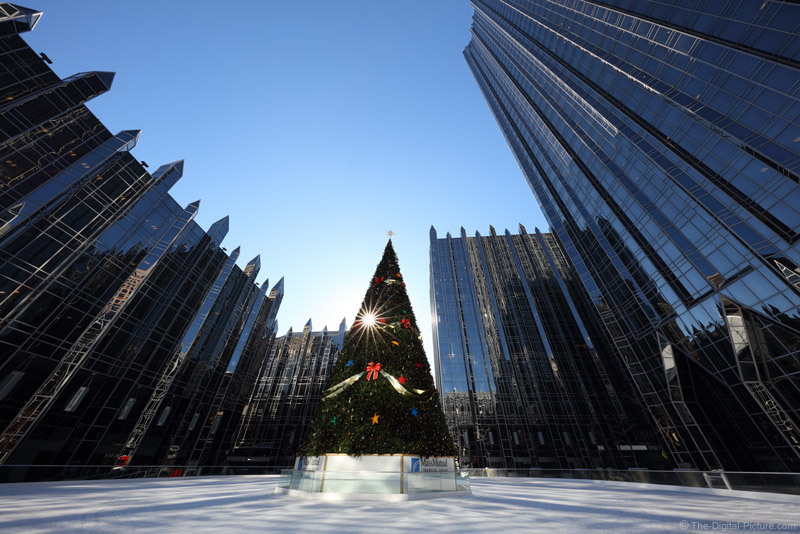 That answer varies greatly, but on this particular year, the large Christmas tree on display at PPG Place in Pittsburgh was scheduled to be taken down on Jan 26th. Part of my pre-trip planning involved asking that question. On January 5th, a very cold Tuesday afternoon, the crowds at the ice skating rink were light, but ... timing the photograph with the ice being cleared for the Zamboni to do its resurfacing work meant a completely empty rink. To add an extra element to the image, I aligned the sun with a small hole in the Christmas tree and used a narrow aperture to create a strong starburst effect. Setting the Canon EF 11-24mm f/4L USM Lens to 11mm will take in a VERY wide angle of view. Pointing 11mm upward will cause buildings to strongly lean inward. A larger version of this image is available on Flickr, Google+, Facebook, Instagram and 500px. If reading from a news feed reader, click through to see the framed image. Putting up and decorating is a big family tradition at our house and the annual photographing of the tree is my own sub-tradition. The photo setup starts long before the camera comes out, beginning with the position of the tree. In addition to the location selected in the house (ours has a very logical one), make sure that the tree appears vertically straight (regardless of the trunk's curvature) and, if the tree is being centered on a feature (such as a set of windows), fine tune that position. The next item on the checklist must be attended to before you string the lights on the Christmas tree (I know, that is the favorite job). The key is to make sure that all of the strings of lights have bulbs with the same brightness (or that they are dissimilar enough to look proper). Perhaps I'm not the brightest bulb in the pack as I skipped this step (thought we corrected this issue last year) and ... apparently there are two different Christmas light models in our tree kit. At least I have a dark-light-dark-light pattern going up the tree. Hopefully most will think that design was intentional. After the tree is fully decorated, clean up the area around it – minimally all that will be included in the frame. This task may include smoothing the carpet if it shows tracks. A Christmas tree can be photographed at any time of day or night, but the best time of the day is when the ambient light is right for the image you want. 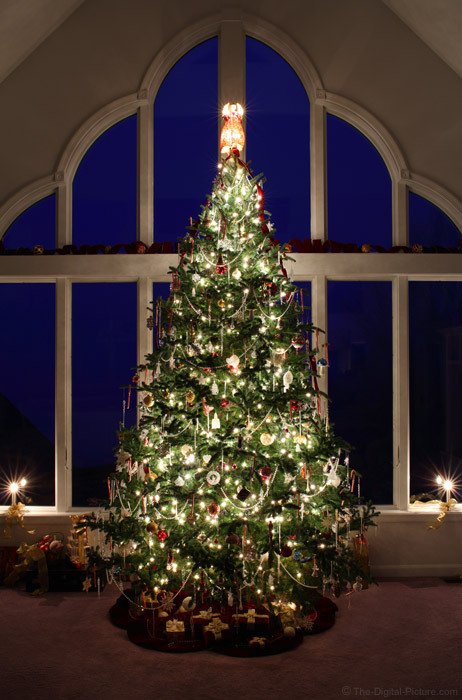 A tree located in a room with many windows will, without significant shading, show mostly green with ornaments and a subdued look to the strings of lights. This is a very nice look. My preference for photographing our tree, installed in our great room/living room, is to use only the light from the Christmas tree lights with very low or no additional ambient light. With windows behind our tree, I am quickly limited to the after dark timeframe. After dark comes early in late fall and early winter, but there is another issue. People walking around cause the floor to flex slightly and that makes the ornaments swing, becoming blurred in a long exposure. So, after the kids are in bed (or plan to be somewhere else in the house for a period of time) works best for long exposures sans kids in the picture. Having windows in your photo quickly complicates the tree photo session for a couple of reasons in addition to the ambient light they provide. One reason is what is outside of the window. Waiting until after dark usually takes care of this problem unless there are other lights visible through the windows (such as street lights). In the latter case, blocking your windows from outside, such as with black foam core, may be a solution to the issue. In this photo, I waited until late in the blue hour on a very foggy day to get a slight even blue glow through the windows. I wasn't sure how bright I wanted the blue to be, but capturing a frame every few minutes allowed me to choose what I thought was ideal at a later time. Reflections are another issue with windows. If Christmas lights are being reflected, those reflections are often beneficial to the composition. But, if something else in your house is being reflected (such as the LCD panel on the microwave or thermostat), the effect will not likely be appreciated. The desired perspective should always drive focal length selection and in this case, working space may limit the perspective options. Within the bounds of walls and other furniture (consider moving it), the optimal perspective will often result in a wide angle lens being selected. 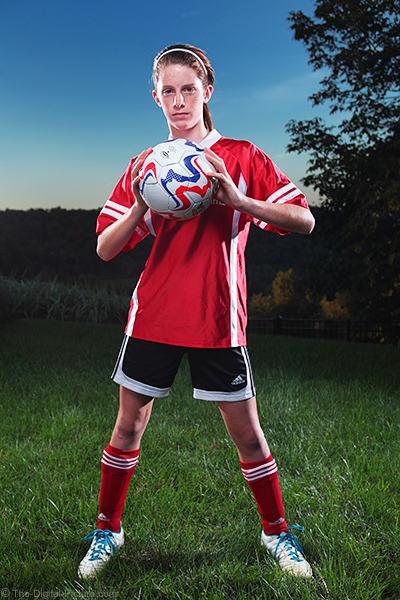 Experiment with perspective, utilizing the various focal lengths at a variety of distances. Also try a variety of camera heights, but do so with an understanding that a vertically level camera is going to keep vertical lines in the frame straight. Windows, corners, furniture and other items will provide those straight lines. While a wide variety of apertures can be used for Christmas tree photos and blurred Christmas trees are quite beautiful, f/16 is one of my favorites. I know, your first thought was to cringe at the softness that diffraction will impart at this aperture and that is a true concern. But, the narrower the aperture used, the bigger the star effect created by each light on the tree. The f/16 aperture is a bit of a compromise in that the images remain reasonably sharp (and sharpenable) with rather large stars being created. Experiment with f/8 through f/22 to determine your own preference. While ISO 100 is ideal, I went to ISO 200 for this exposure to reduce the amount of time each frame was taking. This one stop increase in ISO meant little in terms of noise, but it took 15 seconds off of the exposure and another 15 seconds off of the long exposure noise reduction information capture following the exposure. You have spent (or are going to spend) all that time and expense putting the Christmas tree up and decorating it, so ... plan on spending some time taking pictures of it. If you don't think the right lens is in your kit, this would be a good time to buy it. Renting a lens to use over the holidays is another great idea. If you're like me, you probably have a huge amount of RAW files, JPEGs, and PSDs stored on your hard drive (or multiple hard drives, including backups). The advent of DSLRs able to capture 10 frames-per-second (or more), ever-increasing memory card capacities and the decreasing cost of hard disk drives means that it's more likely than ever that your image library may require multiple terabytes of storage. One great thing about going through your old images is that you can free up hard drive space by deleting images that no longer meet your quality threshold. As you grow in your photography skill level, your quality cut-off correspondingly increases. Shots that once met your minimum quality level for retention may no longer qualify. While you may want to keep a few as memoirs to remember where you came from, the DELETE key will be easy to hit on many of these images. You will likely come across some gems when sorting through your old images. More than once I've missed great images when hurriedly reviewing hundreds of shots after a portrait session or event. Going back through your images allows you to analyze each collection with a keen, fresh eye. You will likely find images that you are now better-skilled to post process, allowing you to improve upon an already-good image. This process has the additional benefit of continuing to grow your processing skills. If nothing else, going through your old images can simply be fun. You will likely come across people that haven't crossed your mind in a long time and places that have long since been forgotten. So while you're going through your images, take a moment to enjoy the flood of memories they bring to the forefront of your mind's eye. And when you have decided on what to delete, what to reminisce over and ultimately what to save, do yourself a favor – back everything up. Then do it again. If you do not have a backup (or two) of your most important images, they will be lost – it's only a matter of time. External and portable hard drives are great for protecting against drive failures, but cloud storage and off-site backups are optimal for protecting your data from the worst of circumstances (fire, flood, etc.). While trees that are full of leaves are quite attractive, they can block the view of many homes and buildings. As the cold weather sets in and deciduous trees lose their leaves, buildings typically blocked by foliage can be seen in their entirety. Use this time to capture views of buildings otherwise unobtainable when greenery dominates the frame. Be sure to take advantage of winter breaks and other periods of desolation to avoid distracting elements in your architecture photos. The shot at the top of this post was taken at a local university during the school's winter break. Otherwise, cars and pedestrians would likely been in the frame when photographing the massive library. 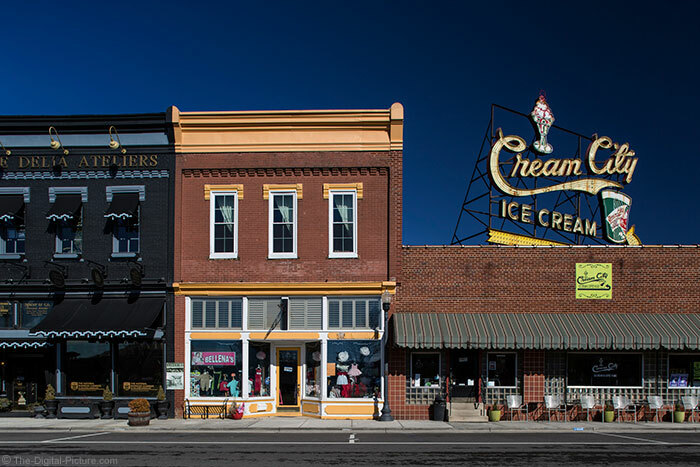 The shot below was taken on a Sunday morning when all the pictured and surrounding businesses were closed. If snow is blanketing the ground, then buildings (or various man-made structures) can provide an excellent subject for your imagery. Snow can make rather mundane, uninspiring places look interesting. 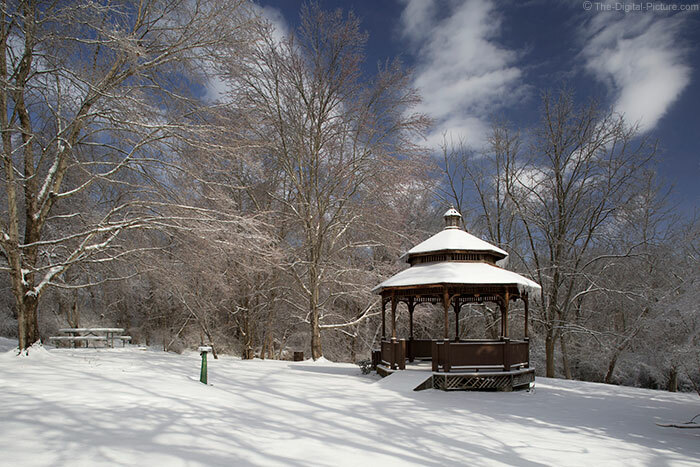 Take full advantage of freshly fallen snow by setting out early before the blank canvas has been disturbed by those having snowball fights or making snowmen. And if the frigid conditions make outdoor photography less ideal for you, try photographing architectural interiors in the comfort of climate control. Personally, I like photographing interiors just after sunset so that the cool ambient light outside the windows is prominent. Wide angle, ultra-wide angle and tilt-shift lenses will be your best bets when photographing architecture. All of the shots in this post (aside from the panorama) were taken with the Canon TS-E 24mm f/3.5L Tilt-Shift lens and a B+W circular polarizer. The panorama was captured using the Rokinon 14mm f/2.8 IF ED UMC lens and my 360-degree panoramic setup. In short, use the winter months to get a fresh, clean look at architecture – inside and out! It was -4° F (-20° C) this morning and the wind was howling. The meteorologist was warning of frostbite occurring to exposed skin within 15 minutes. I can take cold weather, but wind chills approaching -30° F (-34° C) are getting uncomfortable enough to keep me and a large majority of other photographers indoors. What is the answer for someone wanting to photograph outdoors when weather conditions reach this extreme? Wait until warmer weather arrives or go somewhere that is warm. The latter is of course my preference. Where to go? Closer to the equator, of course. Or, cross the equator to find summer. One example of a winter photography location is southwest Florida. This location is renowned for its bird photography and the weather here is very comfortable most of the time including the middle of winter. Take you long lens and migrate with the birds. 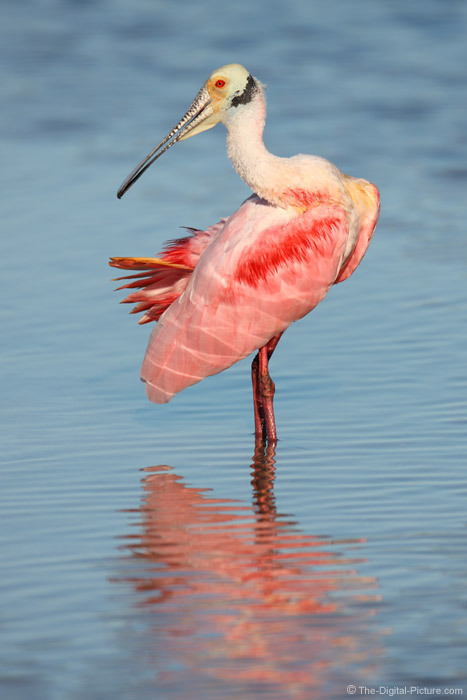 This Roseate Spoonbill was found at Ding Darling National Wildlife Refuge on Sanibel Island, Florida in late winter. The spoonbill was standing in place for a long time and I had taken plenty of shots of various standing poses – and insurance shots of the same. I was waiting, looking for a new and hopefully more interesting behavior. A preening session provided just that. Normally, the ground is covered in detail including grass, leaves, sticks, stones, etc. and that detail is generally on the dark side of brightness. When it snows, those details are covered over and the ground becomes a smooth bright white palette mostly void of detail except possibly an even snow texture. As all kids know so well, what a blank white palette needs is something on it. Shadows are a great option for that something. Especially helpful in this pursuit is that winter brings a low angle sun that casts long shadows even at mid-day. Additionally helpful is that the deciduous trees are bare in the winter and cast clean shadow lines (instead of complete shadows from a leaf canopy). While trees cast great shadows, there are plenty of other options. 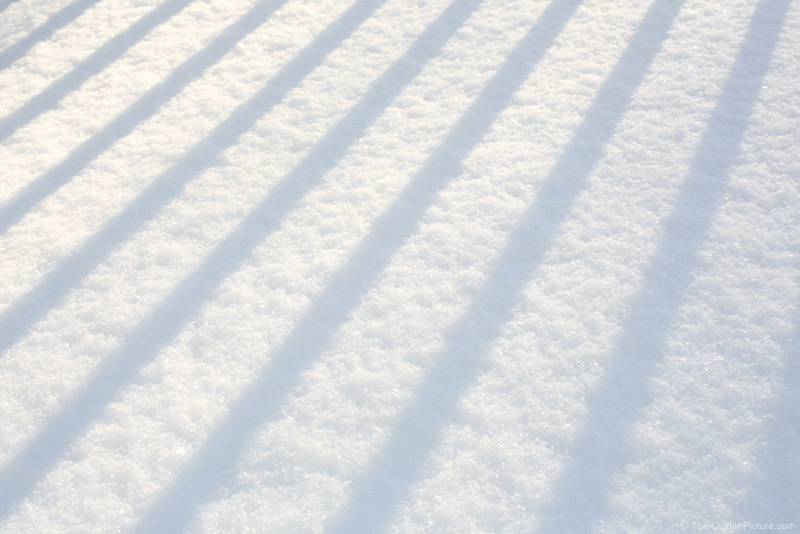 Look for shadows beside fences (as shown in this example). Make your own shadows using your body (for a shadow selfie) or anything else your creativity can come up with. This winter, if you are fortunate enough to live or travel to a location where there is snow on the ground, take advantage of that blank white palette. And remember, the clock is ticking after a snow storm. Fresher is better in the case of snow. Winter Photography Tips: Get Out of Your Comfort "Mode"
Yes, it is winter and your comfort "mode" is likely staying in your warm house. While I do encourage you to get out of that "mode", I'm referring to a different "mode". Your camera's Auto mode to be more specific. Today's DSLR cameras have a wide range of fully or semi-automatic modes available, but I still shoot in manual exposure mode at least 95% of the time (as do a significant percentage of other professional and enthusiast photographers). There are many reasons for choosing manual mode, but having full control over image brightness in a snowy environment is the base reason directly related to winter photography. 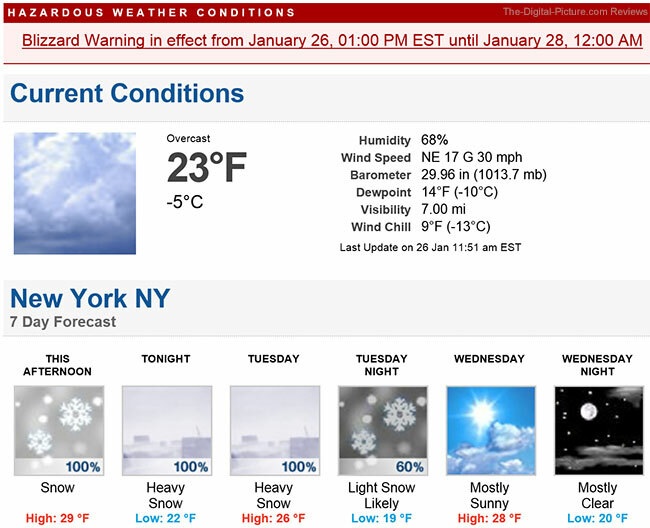 The camera's exposure meter is confused by the bright color of snow and attempts to make it mid-gray in brightness. Yes, you can use exposure compensation to adjust the brightness of the various auto exposure modes, but if the lighting is not changing frequently, I highly recommend using the manual exposure mode alternative. And, winter is a perfect time to perfect your manual exposure skills. Have no fear: Using Manual Exposure Mode is Not Difficult. In manual mode, there are three settings that work together to affect the brightness of an image. These three settings are fundamental to photography and learning them is going to be worth your effort. These are shutter speed (the exposure duration), aperture (how wide the lens opens) and ISO (the amplification of the image received by the imaging sensor). Working backwards, I can't think of a time when I wanted a higher ISO setting for image quality purposes. I want ISO 100 if the other two parameters allow it and adjust upwards as required with noise as the penalty. My aperture setting is usually selected to control the amount of depth of field in the image. The higher the number, the narrower the lens aperture opens and the greater near-to-far distance that remains in focus. So, if everything in the image needs to be in focus, select a high aperture setting number. There is a caveat with going to a very high number and that is diffraction causing the image to become soft. My compromise is usually to shoot at f/8 on an 18-20 MP APS-C body and f/11 on a 20-22 MP full frame body (I go higher/narrower at times). If I want a maximum background blur, I select a wide open aperture (the smallest number available – such as f/1.4). The shutter speed is selected to control (show or avoid) motion blur in an image. If avoiding all motion blur, I can't think of a penalty for using a too-high shutter speed (unless flash is being used and that is a topic for another day). If handholding the camera, there will be a point where a too-high percentage of your images become blurred due to camera shake and usually those images will be sent straight to the recycle bin. Motion blur is sometimes desired in an image (such as moving water) and the right exposure duration is needed to capture this effect. In a perfect world, you would simply select the three perfect parameters for your photo. In reality, there are compromises that are often required and the primary example is a lack of light. If there is not enough light, the shutter speed must be reduced, the aperture must be opened and/or the ISO increased with potential penalties for any of the three adjustments. The more experience you gain, the easier it is to set your manual settings. However, it is not hard for even a beginner to get started and with digital technology where it is today, the learning curve is very short. In the old days (when film was popular), this is the time when the light meter would be pulled out. That piece of equipment is no longer needed for most situations and the meter built into the camera is all you need. There are multiple ways to get the proper manual settings established. You can turn the camera to fully automatic mode and use the settings it picks for you as your initial manual mode settings. You can use the Sunny 16 rule: For a subject under a full sun, set the aperture to f/16 and shutter speed to the 1/ISO setting. Or you can take a guess (what the most-experienced can do). After establishing the initial settings, the next step is to take a picture of a typical scene you can expect to be photographing in (ideally with bright whites included). Then check the camera's histogram for adjustments needed. The histogram shows a graph of the relative brightness of the pixels in your image. This chart is your best friend – learn how to use it. Here is the Canon DPP histogram from the title image. Press "Info" while reviewing an image to turn the histogram on in Canon cameras and I recommend using the RGB histogram to allow all three color channels (Red, Green Blue) to be monitored. Dark details are mapped on the left side (RGB=0) and bright are on the right (RGB=255). Usually to be avoided are pixels stacked on either side of the graph, indicating a loss of details due to blown highlights or blocked shadows. If possible, adjust your manual mode settings to bring the details within the limits of the chart, but use discretion. Pay attention to the brightness of the details in your scene and reflect their relative brightness on the chart. You don't often want to make black or white colors into mid gray. I highly recommend shooting in RAW and adjusting the final image brightness to perfection during post processing. Shooting in RAW, I generally like to expose to the right, commonly referred to as ETTR. This means that the brightest pixels in the image are at or very close to 255, the right-most extent of the chart. This method allows the maximum amount of color information (the most photons) to be captured for each pixel with dark areas especially benefitting from this strategy. Image brightness can later be reduced as desired in Lightroom, DPP, etc. ETTR does not work well in all situations and shutter speed is often what is compromised to get a brighter image, so as always, use this technique with discretion. As mentioned, if shooting in the auto zones, cameras will usually underexpose snow images (unless adequate exposure compensation is called for). A manual exposure allows you to dial in the ideal settings and, unless the lighting is changing (such as dark clouds moving over), every image will be identically exposed, making batch adjustment (if necessary) a fast post processing task. When shooting in bright snow, you are going to want the histogram to show pixels with very close to 255 brightness values (regardless of your ETTR strategy) and you might even want to allow some very small areas to go completely white (enable Highlight Alert and watch for the blinkies during image review). The brightest pixel in the tile image has a max RGB component value of 253. 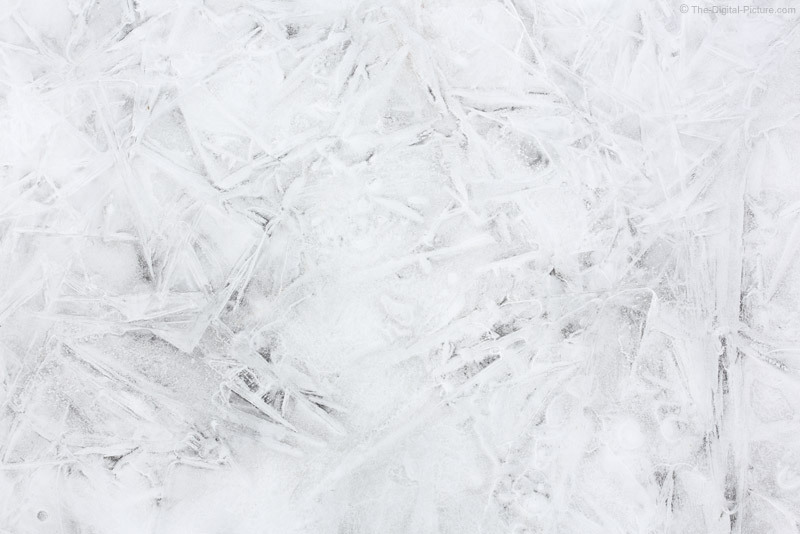 I know, this image is of ice, but there is enough air in the ice to appear nearly as white as snow and similarly confound an auto metering system. While exploring a small stream deep in the winter, I came across this smooth ice with interesting patterns under it. Capturing this photo and many others like it was very easy. The day was very cloudy, giving me even light without shadows. I setup the tripod with the camera directed straight down, focused on the surface of the ice, determined the manual exposure needed to make the ice as bright as possible without blowing the highlights and took the picture. I then slid the tripod on the ice to the next composition and took that picture. Repeat. With a manual exposure locked in, the biggest photographical challenge presented by this opportunity was finding a composition that I liked. The patterns were completely random and, in the end, I captured a number of images to sort through. This one is my favorite. I think. Your turn. Get the camera out and turn the dial to the "M" mode. Learn to make your own fundamental camera setting decisions and your photography will be improved in all seasons. Permalink: Winter Photography Tips: Get Out of Your Comfort "Mode"
Lingering bitter cold with grey overcast skies can really put a damper on photographic aspirations (especially if you enjoy shooting lush, vivid landscapes). The solution? Try shooting macros! If you can stand the cold, then there are lots of wonderful outdoor subjects that are likely very close by and just begging to have your camera pointed at them – icicles, frost and snowflakes, just to name a few. The image at the top of this post is from an herb garden on my front porch. If you'd rather avoid the cold entirely, setting up a small indoor macro studio doesn't require much space. In fact, you could easily use your dining room table or similar [even smaller] surface. 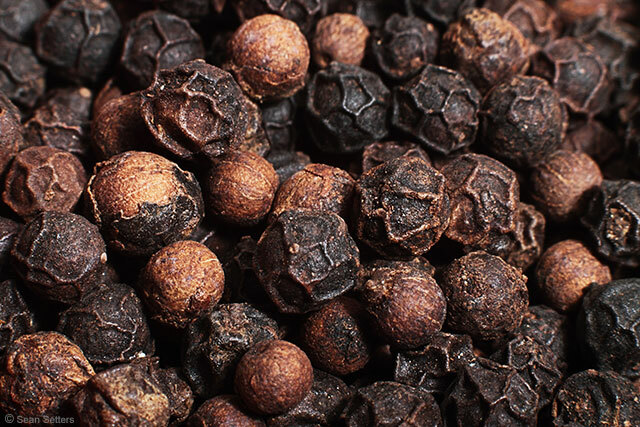 And there are tons of things in your home that would work well as macro subjects – spices (like sea salt, peppercorns, etc. ), toys and flowers are only a few examples. And as Bryan has noted before, buying flowers will likely make your wife or significant other very happy. 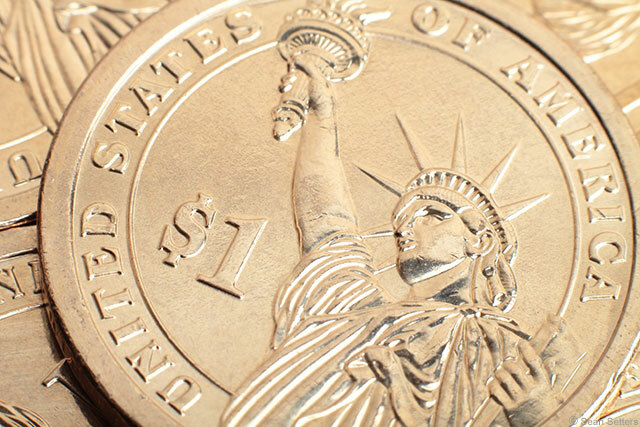 By the way, an off-camera flash paired with a small softbox makes an excellent tool for macro photography. Want a real challenge? Try your hand at shooting jewelry. With gemstones and curved, metallic, mirrored surfaces, jewelry can be an especially challenging subject to illuminate attractively (Hint: using several well-placed white (or other colored) reflectors can help accentuate jewelry's appearance). Want to take your macros a step further? Try focus stacking (my technique can be found midway down the post). DSLR Camera – Just about any modern DSLR will work just fine. One feature that can be especially useful for macro photography is 10x Live View as it can really help you achieve critical focus when your depth of field is very small. Macro Lens (or Extension Tubes at the very least) – Check out Bryan's Canon Macro Lens Recommendations to figure out which macro lens is right for you (if you don't already have one). If you're on a tight budget, or you'd like to expand your macro capabilities, you might want to try using extension tubes to increase the magnification of your current lens collection (we recommend the budget-conscious Kenko extension tubes). Tripod – A good, solid support system is essential for many types of macro shooting. A tripod will allow you to use longer shutter speeds while maintaining a sharp image. It will also allow you to lock down your framing of static subjects so that you can achieve the ideal composition. Flash and Small Softbox (optional) – It's true that with a stable platform you can capture [static] macro images with just about any light source. However, a flash with a small softbox will open up many creative possibilities while also allowing for faster and easier image capture. 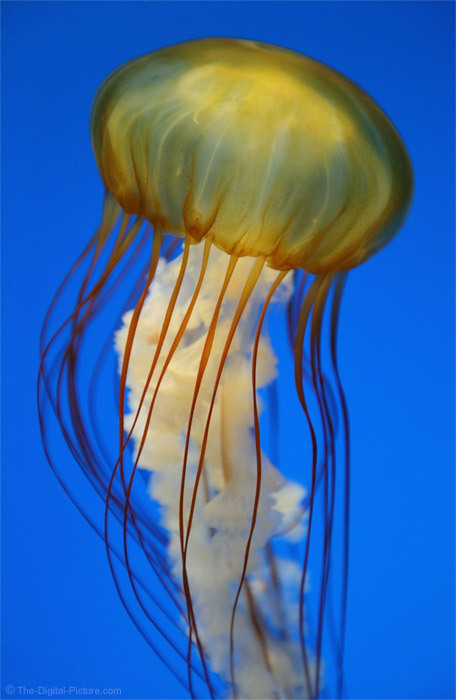 Shooting macros can be a fun and fulfilling activity when other types of photography are less enjoyable or satisfying. So be creative and have fun with small, everyday things! As I write this, those of us in the mid and upper latitudes of the northern hemisphere are in the dead of winter and many of us are envying those near-to and opposite the equator from us. Many photographers regard winter as the photographically-challenging season and many went into deep hibernation weeks ago. When the photography challenges become big, the best photographers are still able to make great images and the rest can learn to do so. One of the aspects of photography that I love most is that none of us will ever completely master every aspect of photography, yet winter is a prime time for growth. I admit that winter is not my favorite season for photography (and I'll include early spring in this regard), but winter is still a great time to photograph and a great time to further your photographic skills. The key to winter photography (and to photography in general) is to embrace the opportunities available to you and to maximize the imagery potential of them. Sean and I have been gathering ideas to wake you from your slumber and to motivate you. Over the next couple of months, we will be randomly posting winter photography tips to prevent your skills from languishing through the cold, dark season. This series of posts will be tagged Winter Photography Tips. Bookmark that link for reference throughout this winter and put a reoccurring note in your calendar for future winters. 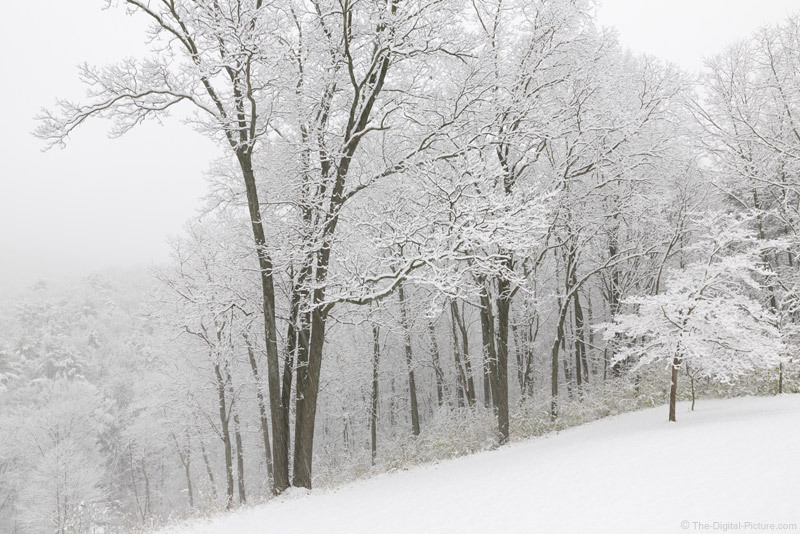 Do you have winter photography tips to share? Send us your ideas for consideration!